There are a couple of exciting things going down in north Brooklyn this weekend. Without further ado, here they are. 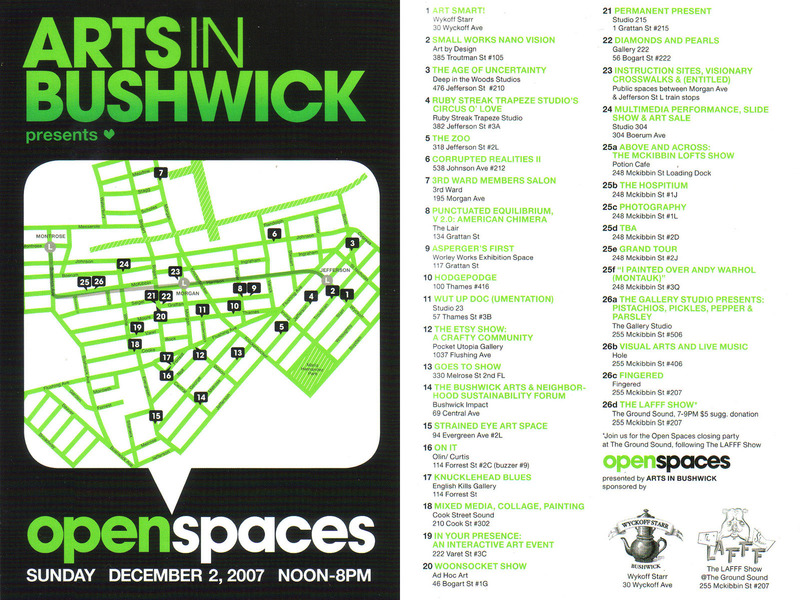 Presented by Arts in Bushwick “Open Spaces” is a day of curated group shows in galleries and alternative art spaces. Over 30 galleries, local businesses and private residences will be hosting interdisciplinary shows centered around the Morgan and Jefferson stops of the L train. 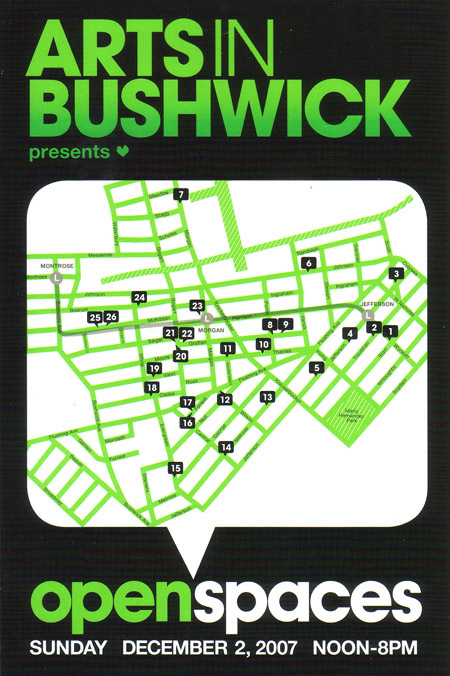 The creative energy and diversity of the Bushwick art community with be on display through an impressive variety of media: performance , visual installation, dance , poetry and music. Shows are open from 12 to 8pm and festivities continue into the night with live music, comedy and dance party. The Wyckoff Starr (30 Wyckoff Avenue) and all the host spaces. We want to gather coats for the 19th annual NY Cares coat drive and cans for the new food pantry at the Greenpoint Reformed Church. Whether or not you are a Christian, Muslim, or atheist, it doesn’t matter… these guys are getting food to people who need it in the community. Starting December 1, every can of food buys you a raffle ticket. Every gently used coat buys you ten raffle tickets. You’ve got until 12/17 to bring us stuff and gather your tickets. The raffle will be conducted the evening of the 17th. Please note that ticket holders must be present in order to win. Prizes include a one night hotel and one day ski lift ticket for two at Belleayre in the Catskills and a $50.00 bar tab. I know I will be taking some foodstuffs and a coat (or two) to the Diamond Bar this weekend. How about you?